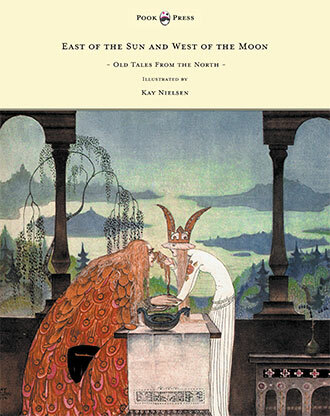 This collection, Fairy Tales from the Arabian Nights presents a re-telling of some classic Middle Eastern and South Asian folk tales by E. Dixon – beautifully illustrated by John D. Batten. 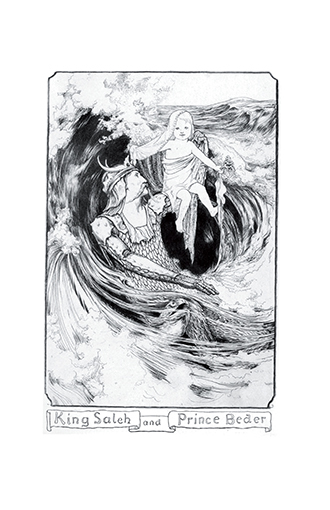 Whilst the narratives differ greatly in their origins, characters, and motifs – they all stem from the initial ‘frame story’ of the ruler Shahryār, and his wife Scheherazade. 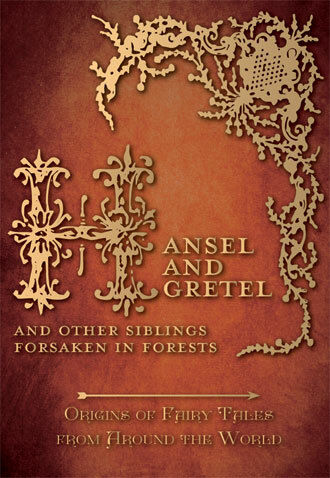 She tells a different tale each night, never revealing the ending – in order that the King may spare her life…. 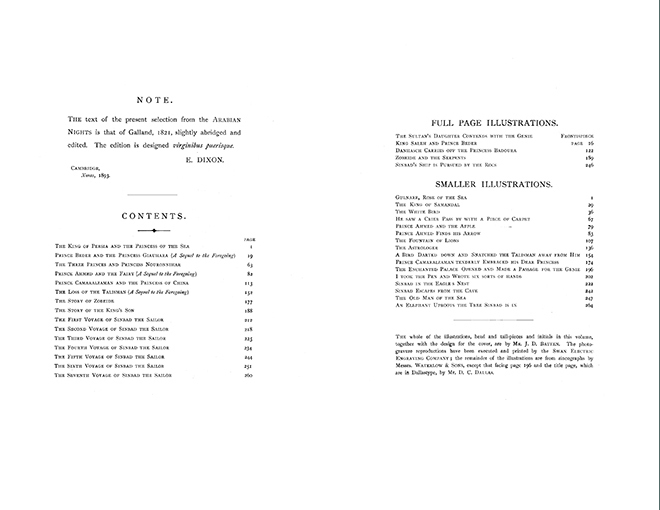 Tales within this book include: ‘The King of Persia and the Princess of the Sea’, ‘Prince Beder and the Princess Giauhara’, The Three Princes and Princess Nouronnihar’, ‘Prince Ahmed and the Fairy’, ‘Prince Camaralzaman and the Princess of China’, ‘The Loss of the Talisman’, ‘ The Seven Voyages of Sinbad the Sailor’ and others. 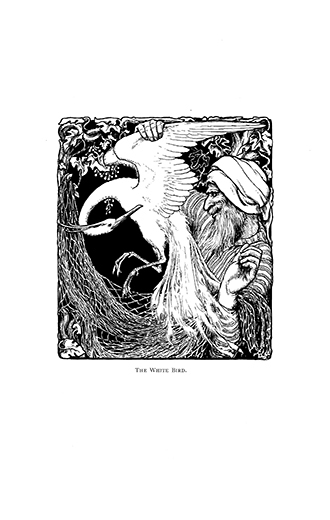 John Dickson Batten (1860-1932) was a British painter, illustrator and print maker,who was a leading light in the Art Nouveau movement. 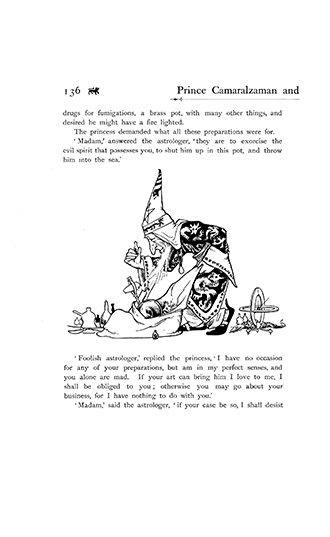 He illustrated a series of fairy tale books written by Joseph Jacobs as well as this English language version of Arabian Nights, and Dante’s Inferno. 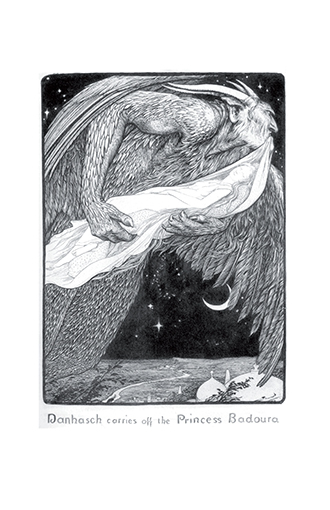 His illustrations are strongly influenced by the printmakers of Japan and are characterised by an intense romanticism and refined technique. 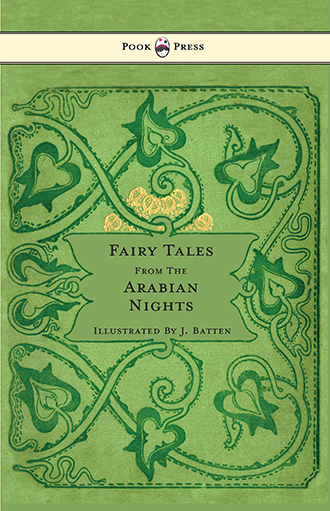 Presented alongside the text, Batten’s enchanting creations serve to further refine and enhance the classic Arabian storytelling – making this a book to be enjoyed and appreciated, by both young and old alike. 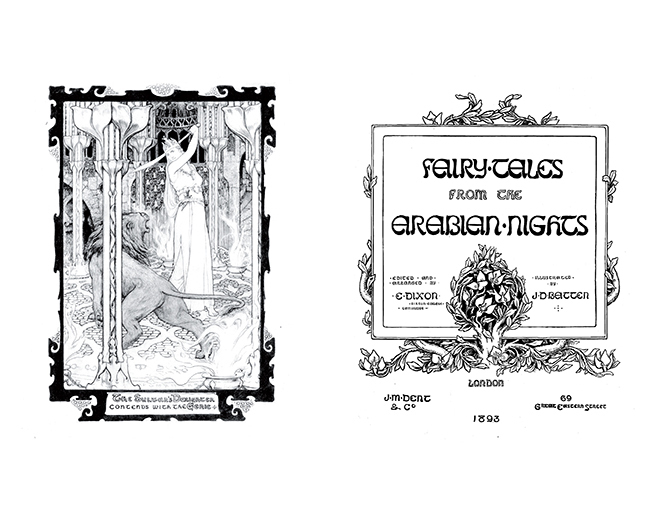 With works such as Fairy Tales From The Arabian Nights – Illustrated by John D. Batten, Pook Press celebrates the great ‘Golden Age of Illustration‘ in children’s literature – a period of unparalleled excellence in book illustration from the 1880s to the 1930s.